A stool is one of the earliest forms of furniture, with a large amount of similarities to a chair, consisting of a single seat, for one person, without back or armrests (in early stools), on a base of either three or four legs. A stool is generally distinguished from chairs by its lack of arms and back. These modern backstools were conceptualised around the 20th century, along with invention of modern materials and manufacturing techniques such as wood bending and then later bending of steel tube, invented by Marcel Breuer's work at Bauhaus. With isotropic materials no longer dependent on squarer and boxier shapes, stronger backs could be added arbitrarily, without being reliant on the number and location of legs on an industrial stool. 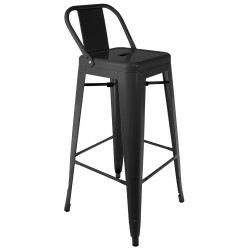 In more recent times, "stool" has become mixed up which has result in alot of products available on the market being labelled as stools where as they're actually chairs with longer legs. 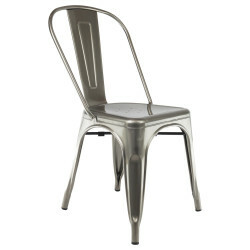 This is predominantly found amongst bar stools and particularly, tall stools for sitting up to a work surface or fixed island. Why should you buy an Industrial Stool? 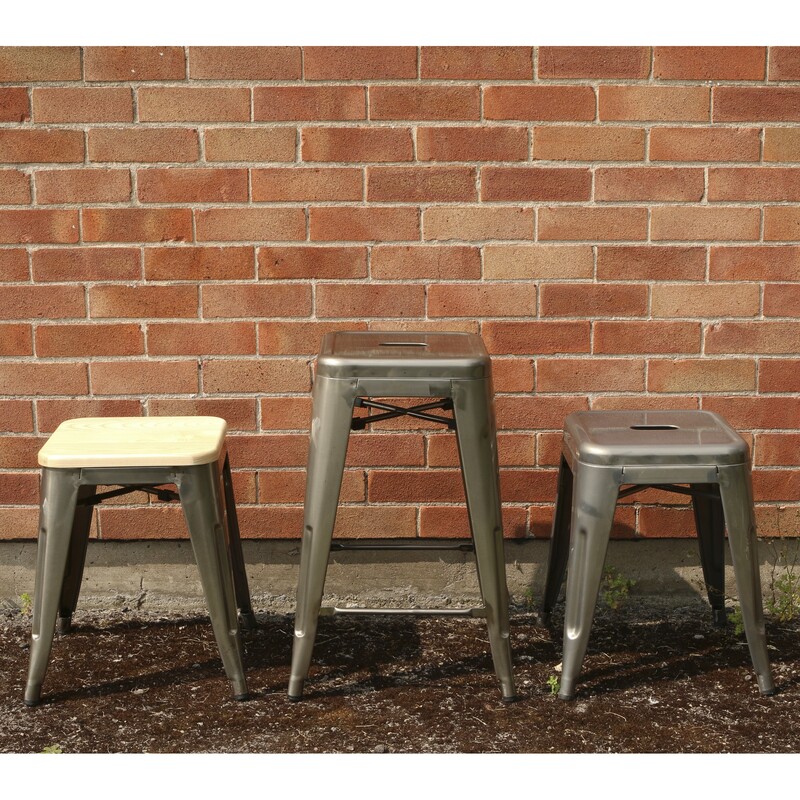 Primarily intended for indoor use, this Industrial stool is able to balance perfectly an industrial and contemporary feel. Similar to our Backrest Industrial stool, this stool boasts a simpler and cleaner finish, available in similar colours this stool is lighter and can be tucked away underneath its work counter or table it is associated with These industrial stools have been developed with the customer in mind. We have always been a strong believe that family and friends are the most important people, particularly when you spend time with them over a meal or a drink. Our industrial stools allow for dense seating around a serving table or counter without consuming an enourmous amount of space per person. Why do we like the Industrial Stool? Based upon research, we believe and support how important ensuring you maintain good back posture when you're sitting and working for extended periods of time. 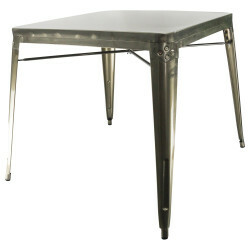 With this particular Industrial stool, without the backrest, this is now possible. Not to mention that our Industrial stools ooze, cool calm and collected design, which aims to incoropate and amplify the environement it featues in. 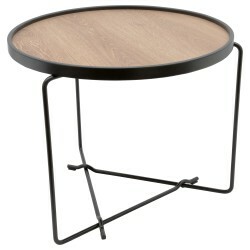 Ideal for: Around a high table, bar or island. 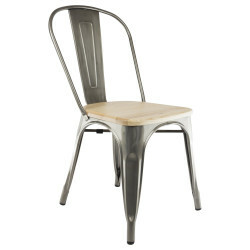 Other features: Stackable, wooden and industrial finishes available. La couleur et le descriptif correspondent parfaitement à la photo. La qualité est parfaite. Ravie de cet achat qui est arrivé bien plus vite que je ne m'y attendais. J'ai panaché 2 couleurs : gris et noir. C'est juste magique comme effet et très abordable au niveau du prix. Je recommande !!! Très joli tabouret, excellente qualité, solide, très bien fini, la peinture couleur est épaisse lisse. La couleur grise est un peu plus clair que sur la photo, mais vraiment très jolie. Livraison ultra rapide 1 jours avant la date de livraison estimé. C'est tabouret peuvent rester dehors sans problème.